NetWorx is a very simple and powerful tool that keeps an eye on all your network connections in live time. 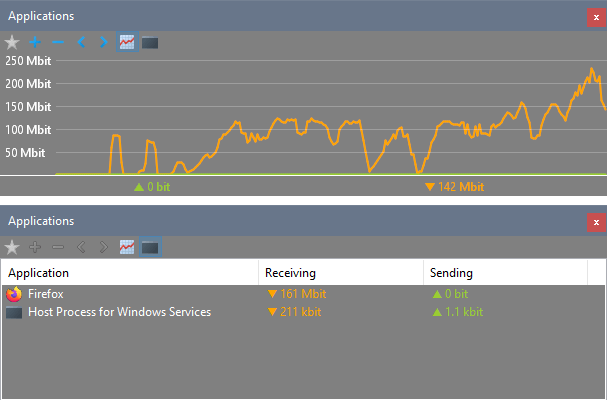 The software enables you to check your network speed, your internet traffic details and much more. It has very exciting feature with which you can add custom alerts that notifies you with visuals and popping sounds whenever there’s an unusual activity which might be due to unauthorized usage on your network, due to malicious software like Trojans or when you exceed your bandwidth limit. You can customize your NetWorx to give you monthly/weekly or daily reports about your usage. It can generate these reports in a number of exportable formats such as excel, word and HTML. You can even customize it to perform specific actions such as closing down connections or even shutting down the system on detection of suspicious activity. It also includes network tools such as ping, trace route and netstat.